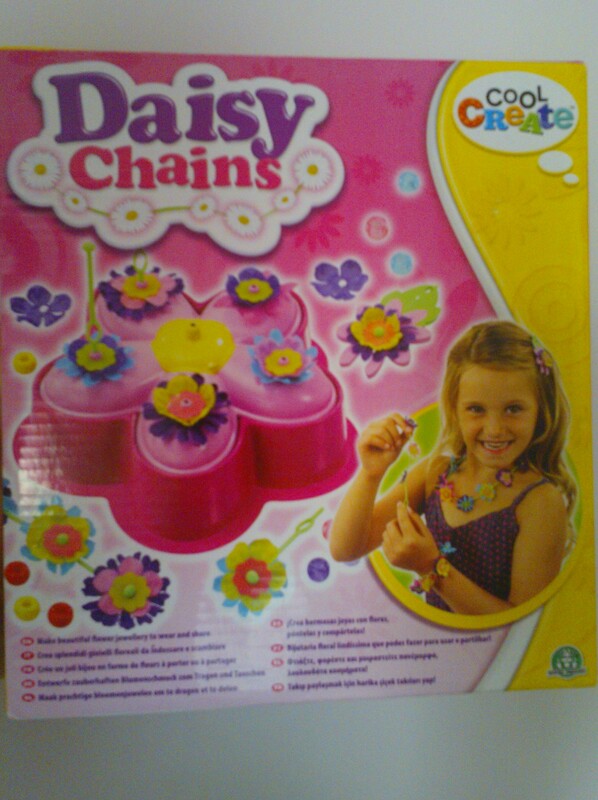 Cool Create Daisy Chains is a fun new craft set aimed at young girls who enjoy making jewellery. Miss M loves anything craft related, so she couldn’t wait to get started when she saw the box. 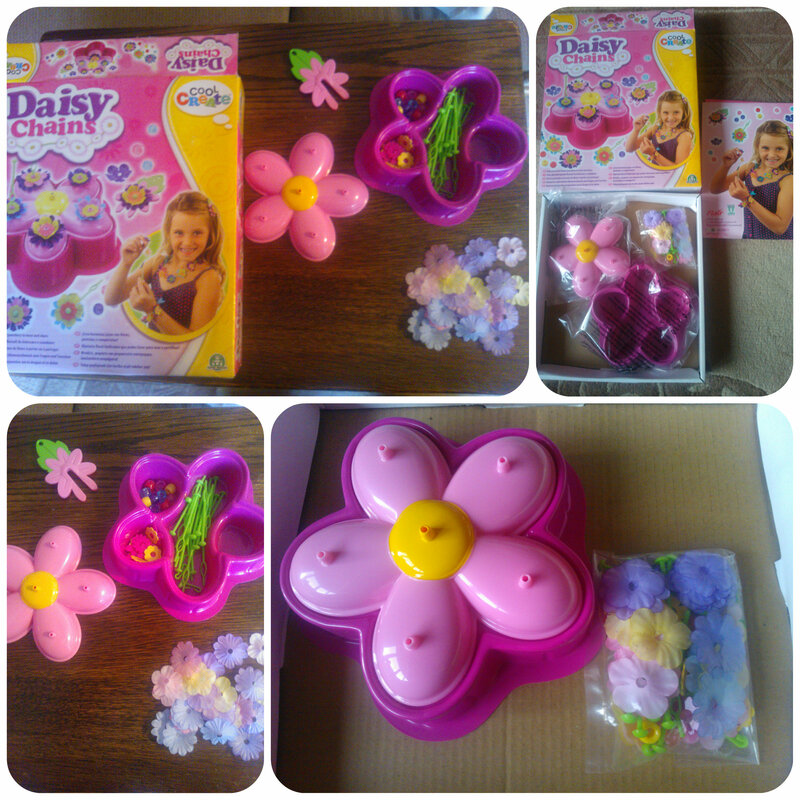 The kit is designed to allow you to make flowers that are daisy chained together and turn them into jewellery and hair clips. The flower making unit is cute and gives assistance in putting the flowers together by layering petals, beads and stalks, then using the picker tool to lift the petals over the stems to create the flowers. Miss M who is 6 immediately grasped the concept of building the flowers, although they can be a little fiddly, but she was trying to rush. By going slowly and carefully the flowers all came together more easily. Once each flower is made you can chain them together to form a daisy chain using the flower making unit to assist you. The daisy chains can then be joined in circles of varying lengths to make bracelets and necklaces or even a daisy chain to wear around your hair. The picker tool can also be used to make a hair clip by attaching a flower to it. Miss M thoroughly enjoyed the Cool Create Daisy Chains and once she got started she didn’t want to stop. It was great to see her sitting making the daisy chains independently once she got to grips with what she was doing and only required minimal assistance from me. She loved picking out the different petals and flower centres and had them all lined up ready to make although she did get a little frustrated that the petals didn’t stay at the top of the stalks. The flowers can be taken apart after and used again if you so wish although I would have like to have seen some more stalks, petals and beads in the box so more things could be made at a time. 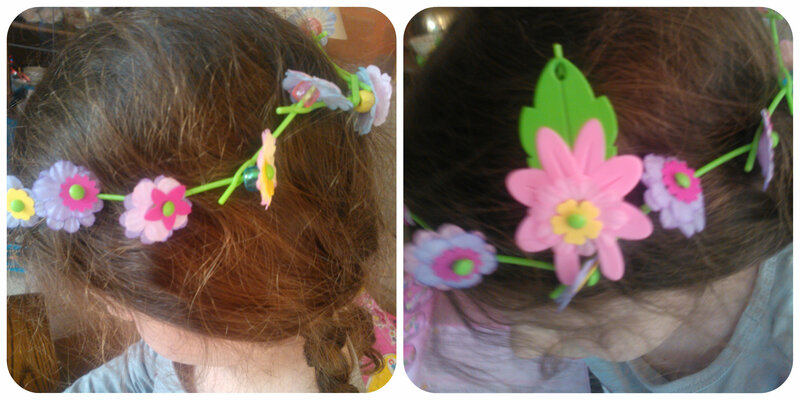 Miss M was only able to make one bracelet, necklace and a hair clip which she loved doing but wanted to carry on. The set is aimed at ages 4+, which is about right but would probably require more assistance at that age. I loved it because Miss M enjoyed this on her own once she knew what to do and she really enjoyed making the daisy chains, in fact when I asked her opinion she said “I love this, it’s so much fun”, which I think says it all! All reviews are my own and my family’s opinions and we received the craft kit in order to write the review. 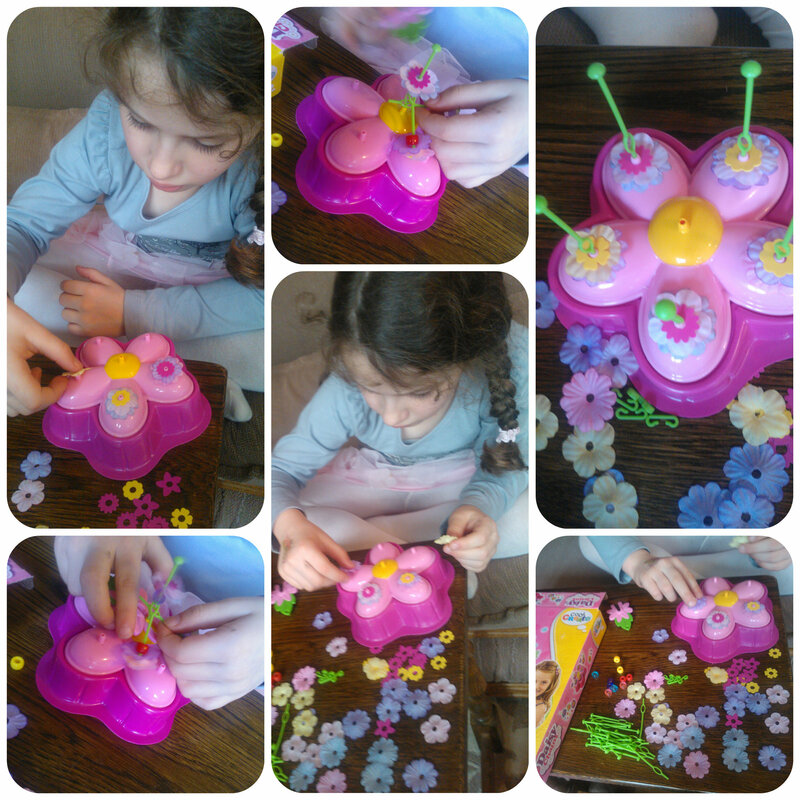 This entry was posted in Reviews and tagged cool create, crafting, daisy chains, flowers, girls, jewellery, kids by Fiona Martin. Bookmark the permalink. The number of different crafting kits out there is amazing, this one looks really sweet and Miss M looks delighted with her creations. That looks a lot of fun and I love your daughter’s creations! This looks like fun and like something that would keep my little girls attention! Thank you for the review!